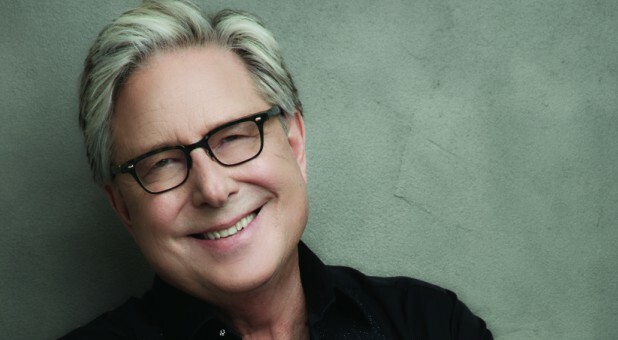 Don Moen, a pioneer of the modern praise and worship movement, has spent his career as a worship leader, producer, songwriter and music executive. While a student at Oral Roberts University in the early 70s, Moen began touring with the musical group Living Sound and evangelist Terry Law. By 1986, Moen had recorded "Give Thanks" for the Hosanna Music! praise and worship series at Integrity Music, where he would serve as creative director, executive producer, and eventually, president of the label. During his tenure there, he sold more than 5 million units and signed worship leaders and songwriters such as Paul Baloche, Ron Kenoly, Darlene Zschech and many more. Today, Moen lives in Nashville, Tennessee, with his wife, Laura, where he is president of Don Moen Productions and oversees his international nonprofit ministry, Worship in Action. Charisma News spoke with Moen recently about how God has moved in his career and beyond. This is part 1 of a two-part interview. Why have you chosen now to write your book? If there was ever a time for people to hear this message, it's now. "God will make a way where there seems to be no way; He works in ways we cannot see..." —that's the key phrase right there. In spite of the hopelessness you see around you, God is working in ways you cannot see to bring hope, healing, salvation, provision, deliverance, and provide for every need according to His riches in glory by Christ Jesus (Phil. 4:19). We need to take our eyes off what we are hearing in the news, on social media and more and focus on the only one who can make a way. Looking back, what are some specific circumstances where you saw the Holy Spirit intervene in your life/career? There are so many times the Holy Spirit has intervened in my life, and I share a lot of these personal stories in the book. It's much easier to see how the Holy Spirit intervened in my life when I look back—while I was in the middle of a decision or a challenging circumstance, it was a little more difficult to see. The Holy Spirit worked through many people to influence the direction of my life. My pastor, Ray Schaible, gave me a love for worship and for the presence of the Lord as a young boy, preparing my heart for what I was going to be doing for the rest of my life. The Holy Spirit clearly led me to transfer from a state university to ORU, where I met Terry Law and Larry Dalton, two men who influenced my life tremendously by giving me the opportunity to travel the world with a missionary evangelistic group called Living Sound. This led to my first opportunity to lead worship for Terry Law at his meetings, which eventually opened the doors for me to work with Integrity Music for 20 years. It's so clear to see how the Holy Spirit led me through all these decisions, but at the time, I couldn't see things as clear as I see them now. There were a lot of days that just required walking by faith, knowing that God had called me and believing that somehow He would make a way for me. How did your time at ORU influence your career? My time at ORU influenced me in so many ways. I began to learn how to hear the voice of the Holy Spirit, to listen to His voice. I learned the principle of seed faith and giving, and I'm not talking about a "give to get" philosophy. The principle of sowing and reaping is biblical. At ORU, my faith was stretched like never before. Oral Roberts had a plaque on his desk that read, "Make No Small Plans Here." ORU, the university that bears his name, is just one example of how he lived out his faith every day. This was contagious, and it rubbed off on all the students. In those days, ORU was a smaller school, and it was not uncommon to be sitting in the Student Union having a snack and have Oral come and join you at your table! ORU was founded with this prophetic word that Oral Roberts received: "Raise up your students to hear My voice, to go where My light is dim, where My voice is heard small, and My healing power is not known, even to the uttermost bounds of the earth. Their work will exceed yours, and in this I am well pleased." I answered this call while I was attending ORU and as a result, I have been privileged to share the good news of the gospel around the world for many years. What prophetic words have guided you? I think one of the most important prophetic words that has guided my entire career came to me in the middle of the night. I was 32 years old when I was awakened from a deep sleep at 3:00 a.m., and I clearly heard a voice that said, "Get up and turn in your Bible to Psalm 40:3." That's all I heard, but I was wide awake, and when I read that Scripture, something happened to me, and I just sat there, meditating on that Scripture. I can't explain it all, but I told my wife the next morning that I felt I had been ordained into something, and I wasn't sure I understood what it meant. I had been praying a lot about my music and had written in my journal that I didn't want to write any more music unless it came in "power, praise, healing and deliverance." I'm not sure I even understood what this meant, except that I was determined to find a deeper purpose in my songwriting. The message in Psalm 40:3 was very clear: "I have put a new song in your mouth; a song of praise to our God. Many will see it and fear and put their trust in the Lord." This is "worship evangelism." God was about to bring together all the years I had spent touring with the group Living Sound and open up a new door of influence for me with my music through a company, Integrity Music, that had not yet been founded. Many years ago, after a concert outside of Phoenix, Arizona, a pastor gave a prophetic word to my wife, Laura. He said, "I see you giving birth to a child. ... in fact, I see you giving birth to many children, but this will not stop you from traveling the world, sharing the good news of the gospel. I see an international family. Your children will go with you around the world." Wow. Little did we know the struggle we would face trying to have children, and how many times we would listen to this word and wonder if it would ever come to pass. I share this very personal story in one of the chapters in my book. Years of tests, infertility doctors and miscarriages discouraged us and challenged what little faith we had left, but after 12 years, God gave us a baby girl, then a boy, then a girl, then another boy, then another boy! Yes, in seven years, God gave us five children! And just as the pastor prophesied, they have all traveled the world with us as we share the good news of the gospel and still work with me in the ministry. God is so good! I have one more story to share if you have the time. Many years ago, my wife's sister wrote a letter to her sharing some personal things, and then she added, "While I was praying for you, I had a vision of Don standing in front of thousands of people, leading them into God's presence and writing songs that soothe the hearts of kings." When Laura read that letter to me, I said, "Honey, your sister Susan is a great girl, but she is not a prophet, because there is no way I am going to stand in front of thousands of people and sing." You see, I had failed my speech class at ORU because I was too afraid to get up in front of 15 people to give a speech, so I skipped my final exam. There was no way I could imagine myself standing in front of thousands! A few years ago, Laura found that letter in one of her old Bibles, and as we read it, we realized that everything had come to pass, including her final word that said, "Don's real strength will come from Laura standing behind the wings of the stage." How true that is! Laura and I have been married for over 45 years, and although she has heard me sing thousands of times, I can always find her somewhere in the audience or back stage lifting up her hands in worship like she was experiencing this for the very first time. She is an amazing gift to me, and I had to confess to her that it seems like her sister was a prophet after all. 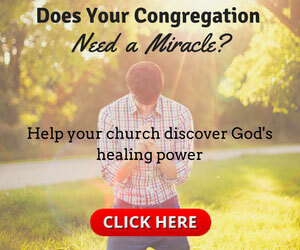 What has the Holy Spirit told you about your future? I believe I've heard the Holy Spirit say to me that He has much more for me to do and that the next 20 years of my ministry will produce more fruit than all the previous years put together. This has been confirmed to me through many other people as well. God has put some big dreams in my heart, and sometimes I wonder how they will become reality, but Isaiah 55: 9 tells us His ways are higher than our ways and His thoughts are higher than our thoughts. My prayer is simply that God will do all that He wants to do in my life. Amen!